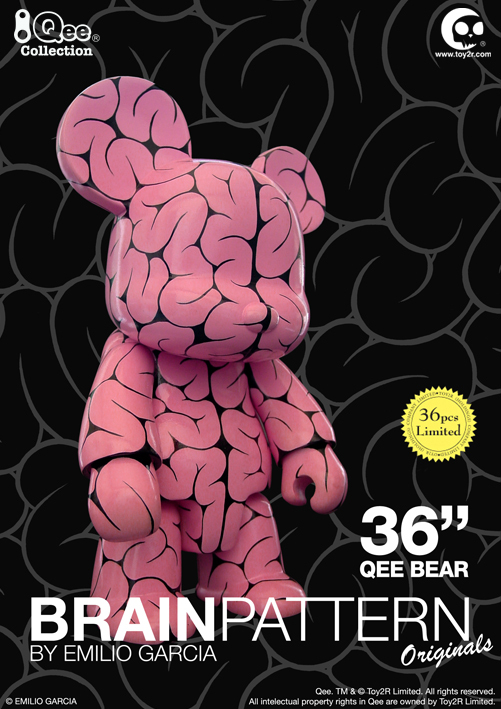 After a week of unveiling the roster of Toy2R’s upcoming 36" Artist Qee Collection, the designer toy world now gets its very first look at Emilio Garcia's Brain Pattern Qee in XL scale - 36 inches of awe inspiring brain power! Limited to only 36 pieces worldwide, these special editions 3 foot tall vinyl figures are made to order and once they are gone - that's it - so collectors get ready! 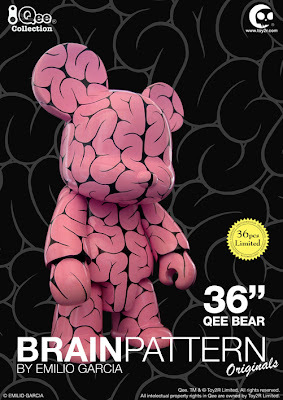 The Blot had no idea when Toy2R first announced its new line of 36” Artist Qees they would be this limited (or this expensive). With a retail price of $2,800 each, these artist editions are some serious high end collectibles. I hope everyone’s been pinching their pennies!